Travelling is one of the greatest things in life that we should savour for as long as we live. After all those years of hard work, you’ve earned yourself some well-deserved time off at your dream destination. Mature travellers should take extra care when doing so, keeping in mind health is the single most important thing. The knee is especially known to be the most vulnerable part of the body. Cut down or eliminate pain and discomfort while travelling with these easy tips. First and foremost, pack light because a heavy bag can be more than just an inconvenience – it causes unnecessary strain. Along with the essentials (such as documentation, clothes, and medicine), you’d be wise to bring along a knee guard or joint protector for any other joints that are hurting. Comfortable mobility is required for you to fully enjoy your trip, so don’t take any chances. You also get the extra benefits of improvement of bone and tissue strength. Travelling to countries with a cold climate (or sitting in an air-conditioned aeroplane) will take a greater toll on mature travellers. Bring along massage socks whenever you need warmth during long or cold journeys. Bio-Ray is a man-made far-infrared formed by natural mineral elements and trace mineral elements. It emits an energy ray that can penetrate deeply into the flesh and bone of the human body, enhance the supply of oxygen and also stimulate the circulation of blood and oxygen to burn away more fats, thus creating more energy to relieve pain. You have much more freedom to move about when you have an aisle seat. This is crucial especially if you’re on a long flight. Sitting in one position for extended periods of time puts stress on the spine. Moving stimulates blood flow and prevents the tissues in the lower back from stiffening and aching as well as deterring the formation of blood clots in the leg. Even 10 seconds of stretching within your seat is better than nothing. 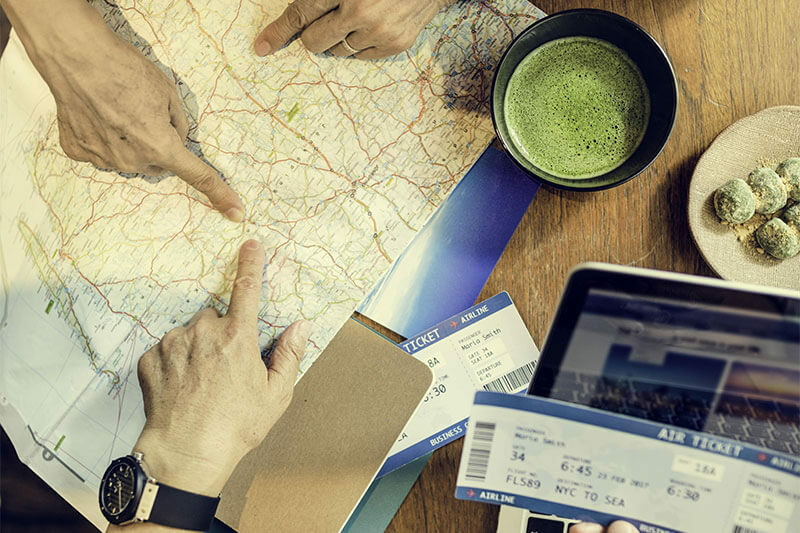 In addition, book a direct flight instead of a connecting flight because you’ll cut down on travel time. Enter medication reminders into your phone so you remember to take your tablets. Carry items in their original containers or with their original prescriptions from the pharmacy so that doctors have the information they need wherever you go. It’s best to keep this in your carry-on luggage for easy access. Consider bringing extra along in case you are delayed with your flight or some get misplaced in transit. If you’re travelling alone, always keep your carry-on luggage between your feet when standing, or with the shoulder strap looped around the leg of a chair when sitting. Take note of the medical facilities available at the destination so that you know where to go in the event of an emergency. A place with disability access (for those in wheelchairs) and ease of transport will be a good choice. This is because mature travellers are more prone to injury due to their limited range of motion. Don’t be afraid to ask for help from flight crew or hotel staff instead of risking the health of your joints. When selecting your accommodation, location is very important. Ensure you do lots of research and stay close to all the local sights so you can save travel time and lessen strain on your knees. 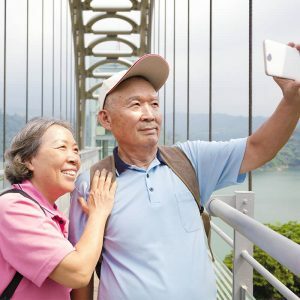 Mature travellers often tire easily from long periods of standing or walking. Whether it’s queueing at a tourist attraction or navigating a new city, mature in years means slower recovery. Hence, walk at your own pace no matter how slow. In the case of sudden knee pain, wearing a knee guard is necessary for health and support. Pain and discomfort can be relieved through the use of Bio-Ray, a type of healing mineral that enhances blood and oxygen circulation. It is advised to wear knee guard to support the knee and joints during the trip or even daily movement if you have discomfort it is necessary for health and support. 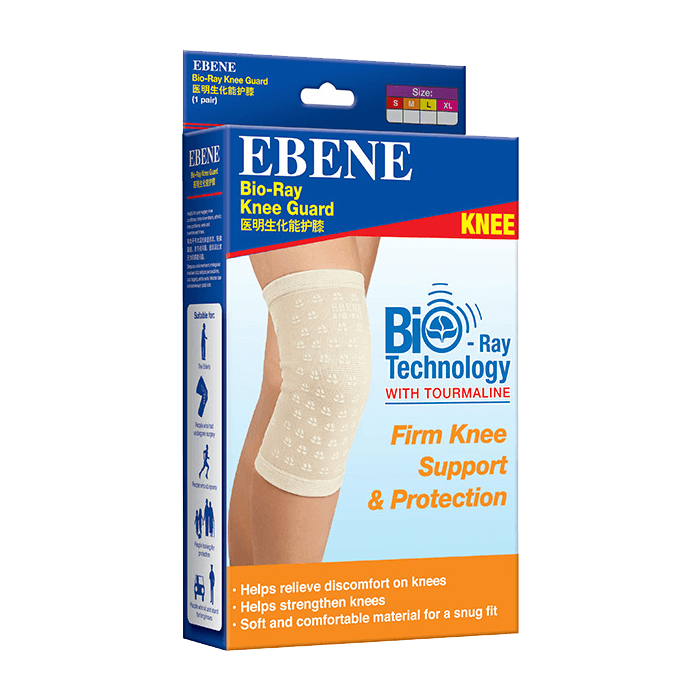 Pain and discomfort can be relieved through the use of Ebene Bio-Ray products that proven to enhances blood and oxygen circulation. Go on to choose activities that are both fun and easy, especially if you have mobility issues. Riverboat cruises, museum visits, food hunts, theatre shows and walks in parks can make for a terrific time. Allow for breaks throughout the day and make sure you get sufficient rest. Whatever your age, it helps to plan ahead. Thinking ahead will help to free yourself from the stress of travelling and ultimately make your holiday even better. With firm and comfortable support, see how the bio-ray technology with tourmaline helps to reduce stiffness and soreness by clicking below. Copyright Ginvera Enterprise Sdn Bhd. ALL RIGHTS RESERVED.